Ever wanted to see the big picture? All the options laid out so you can make an informed decision? As I was coaching an author the other day, I realized that I haven’t written a blog post that covers my full email list building strategy. So today, we’re going to remedy that! In any marketing efforts, you want to make sure you’re doing things to reach both your Existing Readers and New Readers. The good news is that if you’re growing your email list effectively, it will be a powerful tool to reach your existing readers, as well as introducing new readers to you and converting them to fans eager to purchase your next book. Sound too good to be true? I won’t promise it’s easy or completely painless, but once you have your sign-up forms and your automated welcome sequence in place, most of the hard work is done. People who sign up for your email list after reading a piece of your writing tend to be a high “quality” subscriber. Meaning they are likely to open the emails you send and click the links in the email. They are likely your target reader. This entry was posted in email list, Facebook, giveaway, InstaFreebie and tagged book promotion, email list, facebook, giveaway, Lead Generation, pay-per-click. For authors today, we have so many fantastic tools to connect with readers – tools not available even a half-century ago. Things like websites, email lists, social media, giveaways, and more! This entry was posted in email list, giveaway, InstaFreebie and tagged author tools, book promotion, email list, giveaway. One of my favorite studies each new year is a look back at my email list growth for the previous year. I did this in Jan., 2017 and shared the results on this blog post. It was insightful to see which ways of growing my list yielded the highest open and click rates! This entry was posted in email list, Facebook, giveaway, InstaFreebie, pay-per-click and tagged email list, Facebook Advertising, group giveaway, InstaFreebie, pay-per-click. When we gain subscribers by giving them a free book (or other giveaway), are we teaching readers to expect books for free? Maybe. If we’re not using a series of onboarding emails. This entry was posted in book promotion, email list, giveaway, InstaFreebie and tagged automation sequence, email giveaway, email list, giveaway. Email List Growth – An In-Depth Look! One of my goals for 2016 was to grow my reader email list – by a lot. I started the year with a list of 135 reader emails, and my goal was to add 7,500 new emails, while making sure those new emails were my target reader. As you can imagine, that goal would require a lot of focus and hard work! I’ve talked about the importance of doing a postmortem for a book launch, so as I set my email list growth goals for 2017, I thought it might be helpful to see what efforts produced the best (and worst) results in 2016. The open and click rates for each category below are from the campaign I just sent on 12/27/16 for my new release, so it should be a fairly equal comparison. Open rate: 61.6%. Click rate: 22.4%. Open rate: 33.3%. Click rate: 11.1%. This offer is in the back of all my ebooks and has a special page on my website. I don’t promote it anywhere else, because it’s helpful to have read that series to appreciate the short story. Open rate: 26.1%. Click rate: 8%. I’ve run these throughout most of the year at a low budget, usually between $5-7/day. I haven’t blogged specifically about this type of FB ad, but I plan to when time permits. 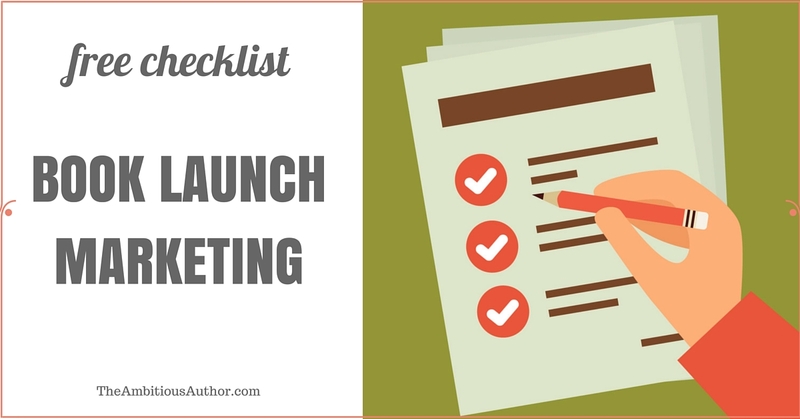 It’s my favorite for mailing list growth for many reasons, including the fact that it’s great at helping authors narrow down their target audience and find pertinent keywords. I have a 3-email automation sequence that goes out to new sign-ups giving them the free book in email #1. Then email #2 gives the first few pages of book #2 in that series, along with the link to buy. Then email #3 announces my newest release. So I use these ads as a tool for both list growth and book sales. These were harder to get exact open and click rates because of the way I was tracking subscribers from Instafreebie. From what I can tell, it looks the open and click rates were approx. 33% and 11% respectively. I blogged about the Instafreebie giveaway here. I was a little skeptical about how high the open and click rates would be, but I’ve been pleasantly surprised. Open and click rates appear to be similar to Instafreebie above. This was a group of 8 authors who write Christian fiction in a variety of genres. Potential readers chose which (if any) author they wanted to follow in exchange for receiving that author’s free book. The giveaway was done right before Christmas, which is not always a time people are focused on reading or seeking out new books. I have a suspicion it may have been even better right after Christmas. I’m pleased with the results, though! Open rate: 56.8%. Click rate: 19.3%. This was geared toward fans of Inspirational historical romance (my specific genre), and I was really pleased with the outcome. Ryan’s team gave great ideas to the authors for how to onboard the sign-ups, and I had great interaction with the new readers. It was interesting to find that some of them were already on my list or had sent me reader emails previously. That goes to show this method of recruiting email address is successfully reaching my target audience. Ryan is doing another of these in the spring, and I’m already signed up. There are other similar services out there, but Ryan’s has the best targeting for my specific genre. In a postmortem, my next step would be to analyze what I would change and what I definitely want to repeat. I won’t bore you with those details, but here’s a chance for you to analyze whether you’d like to try anything from this list! And I’d love to hear from you now! Did you try any other approaches to growing your reader email list this year that I haven’t mentioned here? If so, what were the results? Or maybe you’ve tried something I did. If so, I’d love to hear about it! Want real email examples and pro tips to set up your Welcome Email Sequence? Get these and more in my new course! This entry was posted in email distribution, email list, Facebook, InstaFreebie and tagged email giveaway, email list, Facebook Advertising, Instfreebie, Lead Gen ads. I’ve been doing some new things to grow my reader email list recently, and together they’ve been adding between 30 – 50 new emails per day. Over the next few weeks, I’ll share what I’m doing. For today’s post, let’s start with the simplest to set-up: A Giveaway through InstaFreebie.com. The last I’d heard of InstaFreebie, it was a site where you could upload an epub file of a book you wanted to give to readers, then share the InstaFreebie link with the person you wanted to receive the free book. They could retrieve the file from InstaFreebie and sideload it onto their eReader. I have a different service I use to share ereader files for giveaways (I use BookFunnel and LOVE them, mostly because of their high level of customer support for my readers), so InstaFreebie hasn’t been on my radar for a while. This entry was posted in book promotion, email list, InstaFreebie and tagged best-seller list, book promotion, email list, giveaway.